Milwaukee –(BUSINESS WIRE)–Physicians Realty Trust (NYSE: DOC) (the “Company,” the “Trust,” “we,” “our” and “us”), a self-managed healthcare real estate investment trust, today announced that it entered into an amended and restated credit agreement (the “Credit Agreement”), extending the maturity date of the Credit Agreement from September 18, 2020 to September 18, 2022. In addition, the Credit Agreement reduces the per annum interest rate under both the revolving and term loan provisions of the facility and modifies several financial covenants. Borrowings under the Credit Agreement bear interest on the outstanding principal amount at a rate equal to LIBOR plus 0.775% to 1.45% for the revolving credit facility and LIBOR plus 0.85% to 1.65% for the term loan facility, in each case, determined based on the range into which the borrower’s credit rating then falls. Based on the Company’s current credit rating, borrowings under the revolving and term loan features of the Credit Agreement will result in savings of 10 and 55 basis points, respectively, relative to the Company’s legacy credit agreement dated June 2016. The Amended Credit Facility was arranged by KeyBanc Capital Markets Inc., BMO Capital Markets, and Citizens Bank, N.A. as the Joint Lead Arrangers. KeyBank National Association is the Administrative Agent. BMO Capital Markets and Citizens Bank, N.A. were the Co-Syndication Agents. Other lenders included; Bank of America, N.A., Raymond James Bank N.A., Royal Bank of Canada, Regions Capital Markets, Branch Banking & Trust Company, Crédit Agricole Corporate and Investment Bank, J.P. Morgan Chase Bank, N.A., Morgan Stanley Bank, N.A., PNC Bank, N.A., Comerica Bank, The Huntington National Bank, Associated Bank, N.A., and Synovus Bank. 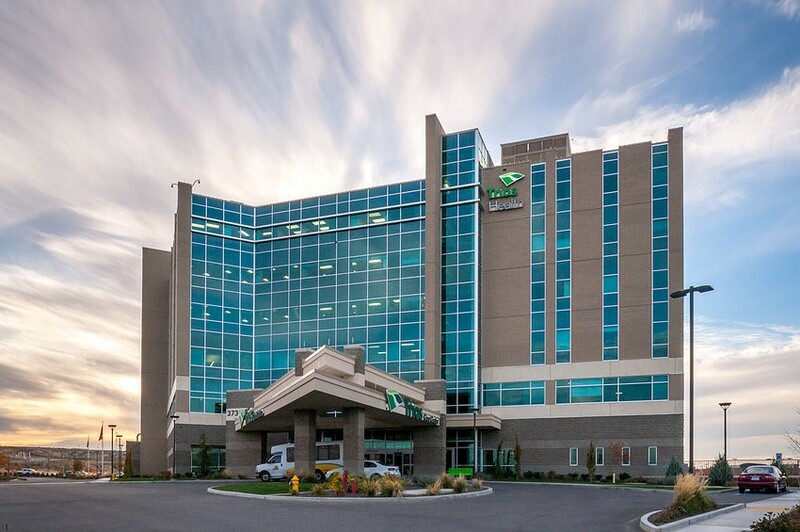 On August 3, 2018, the Company completed the execution of an eight-year absolute net lease with an affiliate of RCCH Healthcare Partners (“RCCH”), who acquired Kennewick, Washington-based Trios Health through a joint venture with Seattle, Washington-based University of Washington Medicine, for 100% of the Company’s 160,000 rentable square foot medical office building (the “Kennewick MOB”) on the campus of and attached to the Trios Southridge Hospital. The RCCH lease commenced immediately as of that date, with RCCH paying the first month’s rent and making the required $500,000 security deposit. The lease includes provisions for five separate five-year lease renewal terms. The lease is fully guaranteed by an affiliate of RCCH. In addition to the RCCH lease, Trios Health conveyed to the Company the fee simple interest in the approximately 4.89 acre parcel of land on which the Kennewick MOB and accompanying surface parking are situated, replacing the ground lease between Trios Health and the Company, for no additional consideration. 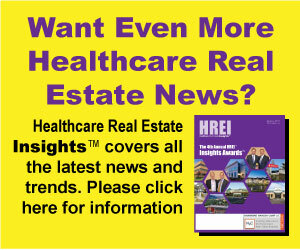 Physicians Realty Trust is a self-managed healthcare real estate company organized to acquire, selectively develop, own, and manage healthcare properties that are leased to physicians, hospitals, and healthcare delivery systems. The Company invests in real estate that is integral to providing high quality healthcare. The Company conducts its business through an UPREIT structure in which its properties are owned by Physicians Realty L.P., a Delaware limited partnership (the “operating partnership”), directly or through limited partnerships, limited liability companies, or other subsidiaries. The Company is the sole general partner of the operating partnership and, as of June 30, 2018, owned approximately 97.1% of the partnership interests in the operating partnership. This press release contains statements that are “forward-looking statements” within the meaning of Section 27A of the Securities Act of 1933, as amended, and Section 21E of the Securities Exchange Act of 1934, as amended, pursuant to the safe harbor provisions of the Private Securities Litigation Reform Act of 1995. Forward-looking statements may be identified by the use of words such as “anticipate”, “believe”, “expect”, “estimate”, “plan”, “outlook”, “continue”, and “project” and other similar expressions that predict or indicate future events or trends or that are not statements of historical matters. These forward looking statements may include statements regarding the Company’s strategic and operational plans, the Company’s ability to generate internal and external growth, the future outlook, anticipated cash returns, cap rates or yields on properties, anticipated closing of property acquisitions, and ability to execute its business plan. While forward-looking statements reflect our good faith beliefs, they are not guarantees of future performance. Forward looking statements should not be read as a guarantee of future performance or results, and will not necessarily be accurate indications of the times at, or by, which such performance or results will be achieved. Forward looking statements are based on information available at the time those statements are made and/or management’s good faith belief as of that time with respect to future events, and are subject to risks and uncertainties that could cause actual performance or results to differ materially from those expressed in or suggested by the forward looking statements. These forward-looking statements are subject to various risks and uncertainties, not all of which are known to the Company and many of which are beyond the Company’s control, which could cause actual results to differ materially from such statements. These risks and uncertainties are described in greater detail in the Company’s filings with the Securities and Exchange Commission (the “Commission”), including, without limitation, the Company’s annual and periodic reports and other documents filed with the Commission. Unless legally required, the Company disclaims any obligation to update any forward-looking statements after the date of this release, whether as a result of new information, future events or otherwise. For a description of factors that may cause the Company’s actual results or performance to differ from its forward-looking statements, please review the information under the heading “Risk Factors” included in the Company’s Annual Report on Form 10-K for the fiscal year ended December 31, 2017, filed by the Company with the Commission on March 1, 2018, and in the Company’s Quarterly Report on Form 10-Q for the fiscal quarters ended March 31, 2018 and June 30, 2018, filed by the Company with the Commission on May 4, 2018 and August 3, 2018, respectively.